The Tudor on the Park, located in the exclusive neighborhood of Beacon Hill, is a unique and highly sought after luxury building. The Queen-Anne style building, formerly a hotel, was constructed in 1886. The exterior, designed with puddingstone and brick, brings out the charm of the historic residence. The 17 units within the building have direct elevator access, bow windows, and gas fireplaces. Kitchens have top-of-the-line, stainless steel Thermador and Bosch appliances.. While condos have been regularly renovated with unique finishes and fixtures, the original charm of the homes and overall building has been maintained. 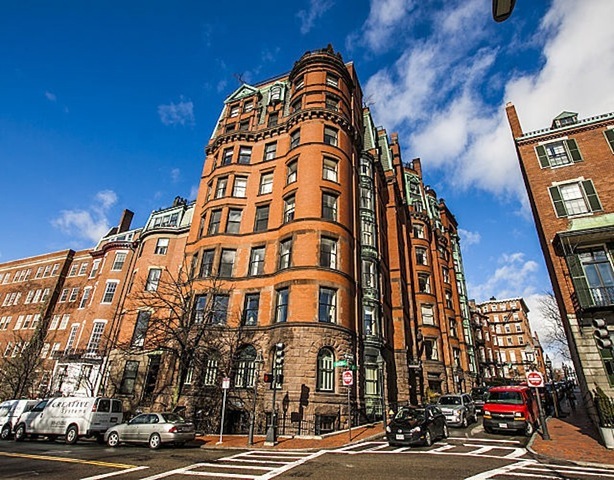 Depending on the location of the unit, residents have stunning view of either the Boston Common or the Charles River. Given the prime location of the residence, you will not only have a great view of these landmarks, but also enjoy them within minutes. Downtown Crossing, Financial District, the Boston Common, the Esplanade, and Back Bay—key neighborhoods and landmarks in the city—are all only steps away from the Tudor on the Park. Other services offered within the building include concierge and valet parking.